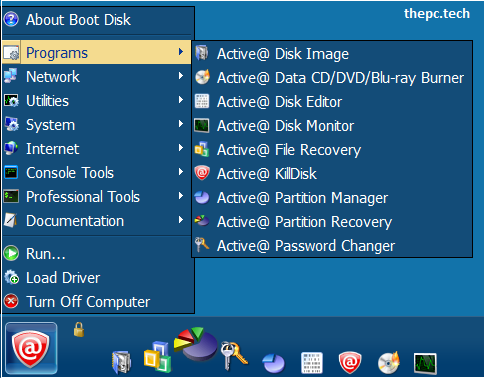 As with nearly all PC tech tools on this website, Active Boot Disk allows you to boot from disc (CD/DVD) or a USB Flash Drive and perform tasks on the given operating system. If you're familiar with the Windows platform, you'll have no Issues navigating around Active Boot Disk's features and options. In fact, Active Boot Disk Is a complete functioning operating system that allows you to diagnose, repair and execute functions such as resetting the local user account password, backup and restore data, boot Into corrupted operating systems, file recovery and secure data deletion and more. Active Boot Disk comes In a bootable ISO Image file, thereby you can burn It to CD/DVD or create a bootable USB Flash Drive. This Is the Corporate license, meaning you can use It on as many PCs as you wish. I've tested this on Windows 7, 8 , 8.1 and also Windows 10 without any Issues whatsoever. In the event you forget, I've Included the password In a text file with the download.